Florida is one of the many states that restrict an applicant’s eligibility to receive Medicaid long-term support by placing a cap on the gross income that a person can make. To be eligible, a person’s gross monthly income cannot exceed $2199 a month. The good news is the income of a spouse is not counted. If a person’s gross income is more than $2,199 we can prepare a Qualified Income Trust or a Miller Trust, so the individual may still qualify for Medicaid benefits. A Qualified Income Trust is one of the best tools available that allow Florida residents to qualify for Medicaid. Florida is one of the states in our country that set income and asset limits for residents that wish to qualify for long-term government health care. A Qualified Income Trust is helpful because it allows a person that exceeds Medicaid’s financial limits to qualify for assistance. As you might imagine, how Medicaid calculates the income limits is complicated. To break it down the formula as simply as possible the monthly income limit in 2016 is $2,199. This means that a person cannot have a gross income over this amount per month. This specific dollar amount is calculated each year. Medicaid applicants must meet an income limit of 300 percent of the SSI federal benefit rate. In 2016, the federal benefit rate is $733, which puts the income limit for this program at $2,199. Thus a person cannot receive more than $2,199 of gross income a month and still qualify for Medicaid. How Does a Miller Trust or Qualified Income Trust Work? With an income trust like the Qualified Income Trust, most of the money that goes into the trust pays Medicaid for the cost of care. A Qualified Income Trust does not shelter income for the Medicaid applicant, but rather allows the applicant to legally meet the Medicaid requirements and then pay any excess funds back to the program. For instance, let's say Gary receives a monthly social security check for $2,500. Gary would not be eligible for Medicaid because the income cap is set at $2,199. However, if the social security check was direct-deposited into a Qualified Income Trust, then Gary may be able to qualify for Medicaid. Most of the check will pay for the Medicaid Care. While discussing social security checks, as estate planning attorneys we would like to point out that Medicaid counts Medicare Part B premium deducted from social security checks as gross income. Before the Qualified Income Trust pays for the applicant’s share of the medical costs it may also provide the applicant with a monthly allowance. The allowance can also be paid to the applicant’s spouse. The amount of the allowance that the applicant or the applicant’s spouse can receive is called the minimum monthly maintenance needs allowance, or the MMMNA. A Qualified Income Trust may also pay for Medicare premiums and medical costs that are not covered by Medicaid or Medicare. A Medicaid applicant establishes the Qualified Income Trust through a trust document. This document will state the purpose of the trust, which is to help the settlor of the trust to become eligible for Medicaid, and the document will name a trustee. A trustee is a person that manages the trust and establishes a bank account in the name of the trust. Medicaid applicants have a choice of whether to redirect all of their income to the Qualified Income Trust or just enough to reach the limit. So for instance, if a social security check is $2,500, then at least the amount of the check more than the current maximum ($301) must be transferred. The applicant could not just deposit $600 and keep the rest. Why do You Need a Qualified Income Trust? The main reason to create this type of trust is so a person can qualify for Medicaid. Medicaid is a great program that helps to pay for long-term health care, and without it, many people would not be able to afford expensive care. Studies show that most people will eventually need long-term care in a nursing home, which can cost thousands of dollars a month. Without Medicaid, a person can quickly eat through his or her savings to pay for daily care. Suddenly, the money you have saved for 20 years to leave to friends and family members is gone, because it was needed to pay for a nursing home. A Qualified Income Trust helps a person may for long-term health care, and Medicaid, but also allows this person to preserve their wealth to leave to future generations. Once the applicant passes the income test he or she must then pass what is known as The Asset Test. The Asset Test states that a person cannot own countable assets in excess of $2,000 for an individual, or $119,200 for a couple. At first this doesn’t seem like a lot, but the good news is that many assets do not count for the purpose of The Asset Test. Countable and Non-Countable Assets for Medicaid Limits: So What Assets Are Exempt? 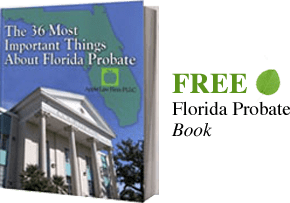 In Florida, A person’s home is often exempt from the countable assets if it or was a homestead of the applicant, or dependent relatives continues to reside in the home. The person’s residence is not counted if the net equity of the home is $552,000 or less. Many vehicles are also exempt. An applicant may exempt one vehicle of any age, and a second vehicle if the car is over 7 years old and not considered to be an antique or a luxury vehicle. Other exempt assets include personal and household goods. IRAs, 401Ks and 403b are also not counted as assets for The Asset Test, but it is important to remember these assets are included under The Income Test. Further, all term life insurance policies are excluded because they have no cash value. Whole life insurance policies and other forms of cash value life insurance policies can be counted as assets if their total face value of the policies is greater than $2,500. The Asset Test overall is a very exhaustive list of assets that are and are not exempt. Also Medicare Part B premiums are not exempt from gross income calculations. For more information on if your assets pass The Asset Test we recommend you set up an appointment with our office today. Medicaid is a federal government program that provides healthcare coverage to certain categories of people with low income and few assets. The federal government oversees Medicaid, but each state actually administers its own form of the program. This means Florida establishes the requirements for residents to become eligible to receive Medicaid here, as well as the type, amount, and duration of services, and the rate of payment. The federal government requires Florida Medicaid must provide a number of services. These services include: inpatient and outpatient hospital services, nursing facility services, rural health clinic services, home healthcare for persons eligible for skilled-nursing services, as well as x-rays and laboratory services. Why is the Income Test Important? The Income Test is important in Florida because this is a means test that allows eligible applicants to receive Medicaid. The importance of Medicaid can’t be stated enough. Healthcare costs are growing each year, and can easily eat into a person’s savings fast. The inheritance that many were hoping to leave for their loved ones may have to one day be used for nursing care, assisted living, or other forms of expensive care. This is why we recommend to all of our clients that they take advantage of every resource available, which includes receiving Medicaid benefits. The problem is that not everyone can qualify for Medicaid benefits because they do not pass The Income Test or The Asset Test. This is why we often recommend clients use a Qualified Income Trust in order to take full advantage of their Medicaid benefits. Click here for more information on Qualified Income Trusts. If you have questions about Medicaid or would like more information about Medicaid in Jacksonville or other areas of Florida, CONTACT our Jacksonville Elder Law Attorney by email or call us at 904-685-1200 to discuss your situation today. For many Medicaid related issues we offer a free 30-minute initial consultation and additional time is billed at hour standard hourly rates. When employed to work on Elder law issues, any fees for the initial consultation will be credited to the new retainer.